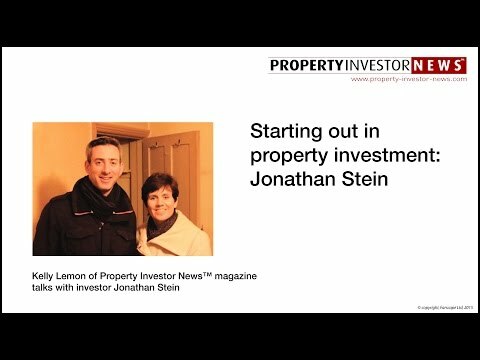 For many investors the government is changing the goal posts, which is forcing investors like Jonathan to re-evaluate their business model. It's not the first time he says he has had to adapt his investment strategy and it's one of the reasons he needs four exits for every project he enters. As we sit in his office in Watford I am keen to find out how this serial property trader intends to adapt his business model with higher stamp duty costs on the horizon. But that's not the policy Jonathan is concerned about; those costs will just be factored into the deal and he expects the impact to be negligible. Instead, it's the phasing out of interest rate relief that is forcing this trader to revaluate his strategy. Before we go any further though, I am keen to know what sparked Jonathan's interest in property. "Whilst working as an office junior in 1996 for an IT firm during my placement of my business degree, I worked in the accounts department and the finance manager had begun investing and was buying lots of property in North West London. He seemed to be significantly growing his income through rental and developments. I've been following the market ever since." The man's name was James and during the time Jonathan worked with him he noticed a change in his personality; in his words he went from a rather 'odd chap' to somebody who seemed a lot happier within himself. From a young age this transition was enough to spark Jonathan's interest in property. "Personally, I don't have the time or knowledge to do stocks and shares plus I always wanted to invest in, and grow, my income from something I had as much control over as possible. To me stocks and shares are just calculated gambling, although I am sure plenty of people would disagree!" Since his late teens Jonathan has always kept an eye on the property market and like many investors it was more of a side-line to begin with. His property journey started when he bought his first flat in 2000 in North London where he lived for four years. "I built up my rental portfolio alongside a corporate sales and business development career which included recruitment consultancy, sports marketing (I really wanted to be Jerry Maguire! ), SEO consultancy, financial services and finally employee benefits/corporate rewards.